God gave the Jewish people a promise that one day they would be regathered back to the land of Israel. 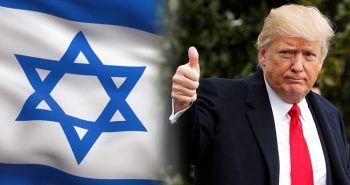 He promised the Jews that one day, even though they were dispersed to the four corners of the earth, He was going to bring them back to their land. This promise, incidentally, is the most prolific prophecy in the Hebrew Scriptures. This prophecy is made more times than any other one in the Hebrew Scriptures. Over and over, like a broken record, you read this prophecy in the Bible. Let me provide one example of it. Isaiah 11 beginning with verse 11 reads, “Then it will happen in that day…” In the book of Isaiah, every time he says “in that day” or “on that day,” every time without exception Isaiah is talking about the end times. Isaiah goes on saying, “It will happen on that day that Yahweh will again recover the second time.” The first time God brought the Jews back was from Babylon. This is going to be a second regathering. A second time God hand will gather the remnant of His people who remain from Assyria, and Egypt, and Pathros and Cush, and Elam, and Shinar, and Hamath, and from the islands of the sea (a Jewish colloquialism for the whole world). God makes that scope of the regathering clear in the next verse, “And He will lift up a standard for the nations and will assemble the banished ones of Israel and will gather the dispersed of Judah…” From where? “From the four corners of the earth.” Over and over and over, that promise is made. Actually, the Bible mentions two future gatherings of the Jewish people. The first one will be their gathering in unbelief before the Lord returns. That’s going on right now. That is what is happening in Israel today. What has been happening ever since the beginning of the 20th Century? The Jews have been regathering in unbelief back into the land of Israel. The Bible prophesies many prophecies, but one of them can be found in Deuteronomy 30:1-2, that there is going to be a second regathering of the Jews. This gathering involves believing Jews who will be collected when Jesus comes back at the end of the Tribulation. 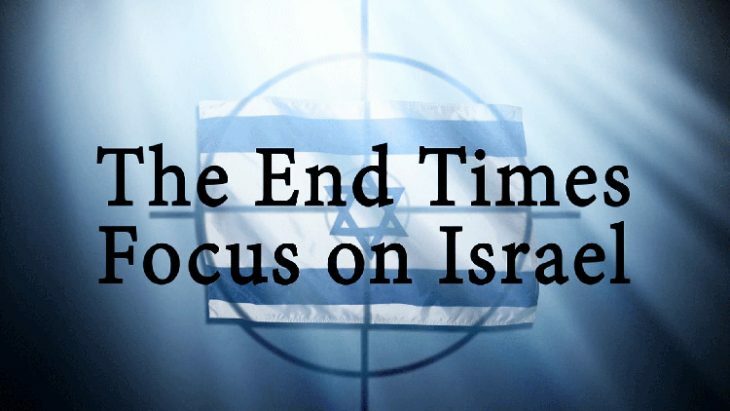 At the end of the Tribulation, at Jesus’ Second Coming, He is going to gather every believing Jew on planet earth who has put their faith in Him during the Tribulation. The Messiah will bring them back to the land of Israel and establish Israel as the prime nation of the earth. Jesus is going to reign from Jerusalem as King of kings and Lord of lords. So, there are two future regatherings of the Jewish people back to the land of Israel. One is characterized by unbelief, which is going on right now. The next regathering is characterized as one in belief after the Lord returns. Regarding the regathering of the Jewish people in unbelief back to the land of Israel, that has been going on all through the 20th Century, and is even continuing now. That particular regathering was set in motion in the last 1800’s when God began to raise up prophetic voices in Europe calling the Jews to return to their homeland. If you’re not familiar with that story, go to my book titled, The Jewish People: Rejected or Beloved? I have a whole chapter just about the Holocaust. I point out in that chapter that God raised up many, many prophetic voices in Europe, and I name them. 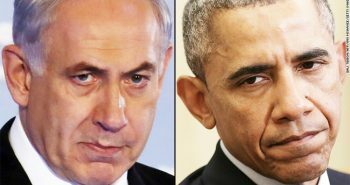 These men went all over Europe telling the Jewish people a Holocaust is coming and that they must get back home to Israel. They must do it now! But, the people laughed and they said, “No, it’s not going to happen.” They thought they had been assimilated. They thought they had finally been accepted by their host countries. One of those prophetic voices was Theodore Herzl. He spoke out strongly to the Jewish people. 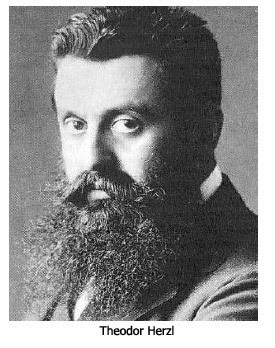 What caused Herzl to become the leader of the Zionist Movement was recorded in his little booklet published in German and titled translated into English The Jewish State. In Herzl’s booklet he said to the effect, “Folks, the time has come. A holocaust is coming! We need to go back home. We need to establish a state of our own in our homeland. You must pull up your roots and start going back. Make aliyah to Israel” That particular booklet was anointed, and it captured the imagination of Jews all over the world. Herzl’s booklet led to the formation of the very first Zionist Conference held in Basel, Switzerland in 1897. Herzl wrote in his diary in summary, “I believe that the Jewish State will exist within 50 years.” He said, “People may think I’m crazy, but I believe it.” And guess what? Fifty years later, in November of 1947, the United Nations voted to create the State of Israel. Herzl had been prophetic in his vision of a rebirthed Israel. In 1900, there were only 40,000 Jews in all of Israel. By the end of World War II, some 600,000 Jews lived in the land. Today, for the first time ever, there are now more Jews dwelling in Israel than were killed in the Holocaust. There are now more than 6 million Jews in Israel. They have been coming home from every country in the world, representing over 120 different languages. There has never been anything like this happen in all of history. Just stop and think about that for a moment. In the Bible, you read about all these nations that were against Israel, such as the Assyrians, the Babylonians, the Hittites, the Amorites, and the list of “ites” goes on and on and on. Someone once said, “Everything but the Chigger-bites!” All these peoples fought against Israel over the centuries. But, where are these peoples today? They are all in the dustbin of history. And where is Israel? Regathered to their homeland. God is in control! God knows what’s going to happen. His will is being performed in history. 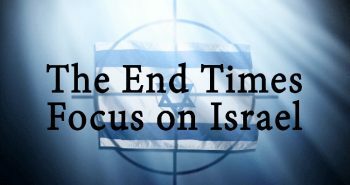 In the third segment of our study of God’s end time focus on Israel, I’ll reveal the two key events that lead to the regathering of the Jewish people back to the Promised Land. It’s been a long time. I have always admired your faithful efforts to instruct Christians concerning God’s End Time purposes and especially as they involve Israel. But (as you also know) I have also long been concerned by what I understand to be an out-of-focus perspective and expectation carried and communicated concerning the regathering of this people amongst whom I have lived for over a quarter of a century, and what lies ahead for them (and for us). That concern only grows with each new email I receive from Lamb & Lion Ministries, and it is compounded by this article and your interpretation of Deuteronomy 31:1-2.